I just might put some money in if I had another million! Social media has lit up with striking images from a storm cell that battered Brisbane and South East Queensland, smashing windows, bringing down trees and powerlines and cutting power to tens of thousands of homes and businesses. via Brisbane storm: Photos show full scale of destructive cell system – ABC News Australian Broadcasting Corporation. Queensland is set to enact water legislation that the body responsible for protecting the Great Barrier Reef has warned will pose environmental risks to the reef and coastal waterways.A package of measures, expected to be voted through this week, will deregulate the use of local water by resources companies, including coal miners, expanding on a model already enjoyed by coal seam gas operators in Queensland. via Great Barrier Reef threatened by Queensland plan to let miners take billions of litres of groundwater, says Marine Park Authority – ABC News Australian Broadcasting Corporation. Sounds horrible – have to buy it. 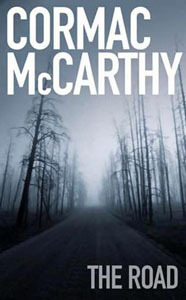 Synopsis: A searing, postapocalyptic novel destined to become Cormac McCarthy’s masterpiece. A nationwide outbreak of foot and mouth disease; an invasion of a devastating wheat disease; our honeybees completely wiped out. These are just three possible disastrous scenarios facing Australia; they’re considered in the Australia’s Biosecurity Future report published today by CSIRO and its partners.Intensifying and expanding agriculture, biodiversity loss, and more people and goods moving around the world are the “megatrends” driving what we have called “megashocks” — new outbreaks of diseases and pests. via Australian farmers face increasing threat of new diseases: report. At a time when commodity producers are enduring a slump in prices for everything from crude oil to iron ore to soybeans, Vietnam’s pepper farmers are prospering.Black pepper trades at about $9 a kilogram 2.2 pounds, from $2 a decade ago, while white pepper costs as much as $13, a threefold gain, according to the International Pepper Community, a producer group in Jakarta. via World’s Oldest Spice Bears Vietnam Modern Riches – Bloomberg. In the last week the US and China announced goals to reduce emissions by 26-28% and cap emissions by 2030 respectively. India also signalled its aim to end coal imports within 2-3 years.These are telling signs of a move away from fossil fuels by some of the world’s biggest emitters of greenhouse gases, including countries that are key importers of Australia’s coal and gas. via Australia’s coal and gas exports are being left stranded. Scientists believe Murray-Darling bird numbers have more than halved in the last 30 years.Researchers conducting an annual aerial waterbird survey have just completed their most comprehensive analysis ever of the river system.University of New South Wales Professor Richard Kingsford is now into his 32nd year of surveying.”We’ve been doing these surveys since 1983 and we’ve seen a 60 per cent decline in waterbird numbers since then,” Professor Kingsford said. via Murray-Darling bird population reportedly halved in the last 30 years in wake of droughts and dams – ABC News Australian Broadcasting Corporation. This wonderful photo of Bob Dylan and The Band, taken in 1967 outside the “Big Pink” house near Woodstock where they recorded the Basement Tapes, captures something essential, I think. Scientists have managed to take their first close-up look at what happens to nuclear fuel when it becomes molten, as it would in a nuclear reactor meltdown.In an innovative lab experiment, they discovered that uranium dioxide fuel behaves differently when molten than in its solid state.The findings, reported in the journal Science, may help researchers improve safety at nuclear power plants, by better understanding uranium dioxide’s behaviour under extreme temperatures. via First look at nuclear fuel in a meltdown › News in Science ABC Science.